The Radiance Brightening Serum is an amazing cocktail that combines a high concentration of Vitamin C, known for its energizing properties, with an active ingredient that enhances skin glow and fights blemishes to regain a uniform and radiant complexion. 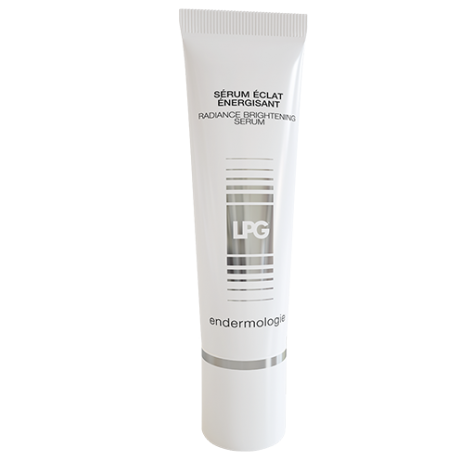 This daily care also renews the functionality of the main youth and skin firmness agents thanks to its hyaluronic acid-based, exclusive LPG® Age Defying Complex, which acts efficiently on the synthesis of collagen and elastin and prevents their degradation. Orange-colored, lightly-scented fluid. Suitable for all skin types. Apply morning and evening to the face and neck after cleaning them with the Pre-Treatment Micellar Lotion and before applying your endermologie® cosmétiques essential care.